Draft: 2010, Detroit Tigers, CAth rd. Resides in Davie, FL during the offseason with his son, Liam...Participates in Autographs for a Cause (donates funds to Big Family of Michigan), the Detroit Tigers Autographed Memorabilia Donation and Tigers Dreams Come True programs; donated funds to purchase art supplies for the Art Therapy program at Children's Hospital of Michigan; attended Keeping Kids in the Game; visited children from Nuestros Pequenos Hermanos Orphanage at the Tigers Dominican Academy in 2014; participated in the Wayne State Youth Baseball Camp, the youth baseball Q&A press conference during Play Ball Weekend and the pregame ceremony prior to the annual ¡Fiesta Tigres! game...Batted .485 (50x103) with 39 runs scored, nine doubles, three triples, nine home runs, 45 RBI and seven stolen bases during his junior season at Archbishop McCarthy High School in Florida in 2009...Selected the 2010 Gatorade Player of the Year in Florida after hitting .542 (39x72) with 34 runs scored, eight doubles, three triples, six home runs, 41 RBI and 22 stolen bases during his senior season at Archbishop McCarthy High School...tabbed a second team High School All-American by Baseball America... Recommended/signed by Rolando Casanova for the Tigers. Led the Pacific Coast League with 156.0 innings pitched as he made 27 appearances, including 25 starts, with Triple A Albuquerque in 2017 ...Selected to the Pacific Coast League Postseason All-Star Team...Ranked second in the Pacific Coast League with 161 strikeouts and a 1.28 WHIP, while he was third with a 4.15 ERA (156.0IP/72ER), tied for third with 10 wins...among PCL starters, he ranked second with 9.32 strikeouts per nine innings and 12.07 baserunners allowed per nine innings, fourth with 2.27 walks per nine innings and fifth with a .266 (154x578) opponents batting average...Had three double-digit strikeout performances during the season, striking out 10 on June 20 at Sacramento, 11 on July 1 at Tacoma and 10 on August 28 vs. Reno...Earned Pacific Coast League Pitcher of the Week honors twice during the season...was named Pitcher of the Week for the week ending July 2 after making two starts during the week and posting a 1-0 record with a 1.93 ERA (14.0IP/3ER) and 18 strikeouts...also earned Pitcher of the Week honors for the week ending September 4 after compiling a 2-0 record with a 1.93 ERA (14.0IP/3ER) and 17 strikeouts in two starts...On temporarily inactive list from July 15-19...Made six starts during the month of July and had a 4-1 record with a 2.50 ERA (39.2IP/11ER) and 35 strikeouts. Established career highs with 54 runs scored and 18 home runs in 2016 as he completed his third full season with the Tigers...Posted the third four-hit game of his career on April 8 vs. New York (AL) (last, August 19, 2015 at Chicago (NL))... Recorded the 100th run scored of his major league career on April 16 at Houston... Named the Tigers Player of the Month for April after hitting .363 (29x80) with 10 runs scored, five doubles, one triple, three home runs and 14 RBI during the month - led the AL with a .363 batting average in April, while he was tied for fifth with 29 hits... Hit his 16th home run of the season on July 6 at Cleveland, establishing a new single-season career high…also drove in five runs in the game, tying his career high (last, August 19, 2015 at Chicago (NL))... Hit safely in 12 of 13 games from June 25-July 9 -- batted .360 (18x50) with eight runs scored, three doubles, one triple, four home runs and 11 RBI during the stretch... Sidelined from August 7-September 27 with a non-displaced fracture of the fifth metacarpal of his left hand... Posted a .315 (93x295) batting average vs. righthanded pitchers, while he hit .207 (24x116) with lefties on the mound... Hit .285 (53x186) at Comerica Park...batted .284 (64x225) on the road...Batted .302 (99x328) with 45 runs scored, 19 doubles, three triples, 17 home runs and 51 RBI prior to the All-Star break... hit .217 (18x83) with nine runs scored, six doubles, one triple, one home run and seven RBI after the All-Star break. Ranked second among all American League rookies with 138 hits, 31 doubles, and 66 RBI as he appeared in 148 games in his first full season at the major league level with the Tigers in 2014...Finished the season ranked 10th among all Tigers players during their rookie season with 31 doubles, while he was 16th with 66th RBI...Selected to the Baseball America All-rookie team following the season...On the Tigers opening Day roster for the first time in his career...Recorded his first career RBI on April 4 versus Baltimore with a double in the second inning...Connected for his first major league home run on April 9 at Dodger stadium off Josh Beckett with a three-run home run in the third inning...Established a career-high with three hits on May 21 at Cleveland -- equaled the high on June 5 versus Toronto, June 6 versus Boston, June 7 versus Boston, June 14 versus Minnesota, July 8 versus Los Angeles Dodgers, August 10 at Toronto, and September 1 at Cleveland...Became just the fifth Tigers rookie since at least 1914 to connect for three consecutive three-hit games, doing so from June 5-7 at Comerica Park...Batted .337 (33x98) with 12 runs scored, 10 doubles, one triple, two home runs and 10 RBI in 26 games during June...Established a career-high with four RBI on July 30 versus Chicago White Sox...Established a career-high eight-game hitting streak August 22-29 -- batted .333 (11x33) with four runs scored, two doubles, one triple, and seven RBI during the streak...matched the streak from August 30-September 6 -- batted .303 (10x33) with three runs scored and two doubles during the stretch...Batted .266 (105x394) against righthanded pitchers...hit .237 (33x139) with lefties on the mound...Posted a .284 (76x268) batting average at home...batted .234 (62x265) on the road...Batted .262 (79x302) with 29 runs scored, 20 doubles, one triple, six home runs and 34 rBI in 84 games prior to the break...hit .255 (59x231) with 21 runs scored, 11 doubles, three triples, five home runs and 32 rBI in 62 games following the break. Spent the majority of the 2013 season at Triple A Toledo -- led the International League with 81 runs scored, while he was tied for first with 37 doubles, second with 147 hits and fourth with 76 RBI...Named the best batting prospect in the International League by Baseball America...Batted .361 (39x108) with nine doubles, five home runs and 17 RBI in 28 games during June...Selected to the International League All-Star team...Had his contract purchased from Toledo prior to the game on September 1 versus Cleveland -- made his major league debut the same day...Collected his first career major league hit on September 7 at Kansas City, an infield single...Appeared in 11 games with the Tigers in September, batting .278 (5x18). Tabbed the Tigers Minor League Player of the Year after finishing fifth in the Midwest League with a .312 battingaverage with Single A West Michigan during the 2011 season...named West Michigan's Player of the Year...Selected to the Midwest League's post-season all-star squad...Topped the Midwest League with 158 hits, while he tied for the lead with 135 games played, tied for second with 36doubles and finished third with 507 at-bats...Compiled a season-best 10-game hitting streak May 18-27, batting .368 (14x38) with five doubles and six RBI...Garnered Tigers Minor League Player of the Month honors for June after hitting .375 (36x96) with eight doubles, twohome runs and 20 RBI in 24 games -- second in the Midwest League with a .375 batting average during the month...Belted a season-high two home runs on July 9 versus Bowling Green...Hit .397 (54x136) with runners in scoring position...Named the second-best prospect, the best hitter for average and best power hitter in the Tigers organization and thefourth-best prospect in the Midwest League following the season by Baseball America. Made his professional debut with the Gulf Coast League Tigers after being selected by Detroit in the first round (44thoverall pick) in the June 2010 draft...Tabbed the third-best pure hitter in the draft by Baseball America...Named the second-best prospect, best hitter for average and best power hitter and rated as possessing the best infieldarm in the Tigers organization following the season by Baseball America. September 27, 2016 Detroit Tigers activated RF Nicholas Castellanos from the 15-day injured list. August 7, 2016 Detroit Tigers placed 3B Nick Castellanos on the 15-day disabled list. Fractured left hand. October 21, 2013 Detroit Tigers activated 3B Nick Castellanos. October 3, 2013 Detroit Tigers reassigned LF Nick Castellanos to the minor leagues. September 1, 2013 Detroit Tigers selected the contract of LF Nick Castellanos from Toledo Mud Hens. March 29, 2013 Nick Castellanos assigned to Toledo Mud Hens. January 16, 2013 Detroit Tigers invited non-roster LF Nick Castellanos to spring training. 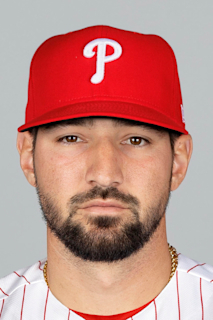 June 5, 2012 RF Nick Castellanos assigned to Erie SeaWolves from Lakeland Flying Tigers. April 2, 2012 Nick Castellanos assigned to Lakeland Flying Tigers from West Michigan Whitecaps. January 10, 2012 Detroit Tigers invited non-roster 3B Nick Castellanos to spring training. March 31, 2011 Nick Castellanos assigned to West Michigan Whitecaps from GCL Tigers. March 1, 2011 3B Nick Castellanos assigned to Detroit Tigers. August 20, 2010 Nick Castellanos assigned to GCL Tigers from Detroit Tigers. August 16, 2010 Detroit Tigers signed 3B Nick Castellanos.